Leave If You Can was originally written in German -''Geh fort wenn du kannst''- by author Luise Rinser and translated into English by Margaret Stevens. 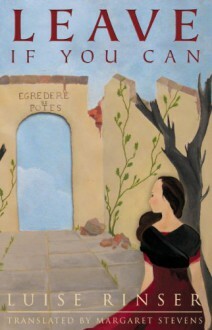 Ms. Rinser tells the story of Angelina and of her spiritual awakening after the devastation of Italy in World War Two. We learn about the courageous young woman's struggles as her friend Giulia writes a letter to Angelina's father. Angelina and Giulia have been best friends since childhood and their religious beliefs are about to be affected by the terrors of the war. These two idealistic women embrace communism and leave home without a plan, but with big hopes of protecting the defenseless and fighting the oppressors. On their journey, they find a brave young boy named Tommaso who got lost while secretly trying to follow his older brothers, who have set off to Rome. After hearing Tomasso's story and seeing his courage, the three travel together to look for his brothers. Upon arrival at Rome, sensing that he can trust Angelina and Giulia, Tomasso leads them to a trattoria, a secret meeting place for the Partisans, a well-organized underground communist resistance group fighting the Fascist regime. They are unable to find Tomasso's brothers, but are introduced to Antonio, one of the Partisan group leaders stationed near the trattoria. The three of them become active members of his group, L'Altalena. During one of the Partisans heated fights against German troops near Santa Maria del Monte, Angelina is separated from her group and thought to be missing in action. Giulia's intuition helps her find Angelina and their reunion marks the beginning of their spiritual awakening and transformation. Angelina is strong-willed and determined. These attributes make her a great leader and a trustworthy companion. Giulia is a loyal friend who unquestioningly follows Angelina. Together they suffer, laugh, cry, and strengthen each other in times of despair. This co-dependence makes them stronger and prepares them for a greater cause by enabling them to find peace under the most unexpected circumstances. “Leave If You Can'' is not your ordinary love-and-war story with villains, heroines, family feuds, and romance. It is the remarkable story of Angelina, who was first blinded by fanaticism and shaken by the injustices and atrocities of the War. After suffering and losing so much during her political and spiritual struggles, Angelina discovers that the fight for justice and human rights is found at a higher level with God as the Supreme Commander. I highly recommend this book to readers who enjoy war stories entwined with religion and politics while remaining faithful to history. 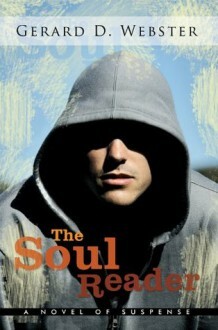 The Soul Reader is the long-awaited sequel of the award winning book, In-Sight, from extraordinary Catholic author Gerard Webster. In the first book, Mr. Webster introduces three main characters: Ward McNulty, a prominent syndicated political columnist; Carrie Hope, an outstanding reporter and news anchor; and Chet Garner, Democrat State Senator and aspiring Congressman. Ward and Carrie agreed to help Senator Garner to gather support for the development of the North Beach Project, a luxurious beach resort in Timuqua Island. As the story unfolds, however, their affiliation with Senator Garner would emperils both their lives and careers. In the climax of the book, Ward experiences a tragic car accident after which he is shocked to discover his new In-Sight ability. In The Soul Reader, Carrie Hope signs a contract with a major publishing house to write a book about the untold truth behind the “North Beach Project.”She contacts Ward and asks for his assistance. At first, he is extremely reluctant due to the potential danger of this multifarious investigation. However after some soul searching, he agrees to help her. Mr. Webster takes Carrie, Ward, and the reader on an intriguing international manhunt in search of clues regarding a series of unfortunate events associated with some investors of the North Beach Project. The investigation leads them to Mr. David Schoenhauer, a powerful and resourceful German investor and the extremely dangerous hit man Culebra, known for his ability to kill quickly, cleanly, and unnoticed. Culebra has valuable information that could compromise now-Congressman Garner, Mr. Schoenhauer, and other worldwide investors. As a reviewer, I enjoy reading sequels. And I appraise them with a more critical eye. I expect a more elaborated story, better developed characters, and unexpected twists and turns leading to a climatic end. Mr. Webster exceeded my expectations. Even readers who have not read the first installment, In-Sight, will be able to follow the story and understand each character's motives and actions. The end gives reassurance that everything is possible for those who believe and trust the Master's plan. I highly recommend this book to mystery readers searching for a suspense story intertwined with trust, love, forgiveness, Catholicism's teachings, and expiation. An enjoyable, entertaining, action-dram award winning tale! 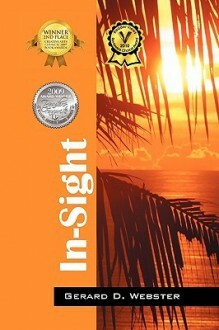 The award winning action-drama novel, In-Sight, written by author Gerard D. Webster, stands out among other Catholic books in this genre. The book begins with Carrie Hope's dad's last words to her before dying in the hospital: ''I love you as my own.'' Carrie's parents were killed by a drunk driver when she was a freshman at Florida State University (FSU). This event leaves Carrie alone and with no known relatives. When she turns 21, opportunity comes knocking at her door- she lands a Summer internship job in TV journalism in England. She needs to apply for a passport and is unable to find a copy of her birth certificate. She contacts Mr.Tom Eddington, the family lawyer, and asks for his assistance. Her meeting with Mr. Eddington reveals some shocking family secrets that find Carrie ill-prepared and send her in a life of busyness and internal turmoil. Meanwhile, syndicated column writer, Ward McNulty, is enjoying the fame and the power of his political commentary column, Inside Story. His credibility and insight change the lives of those people he writes about. Ward has been very outspoken and supportive of State Senator Chet Garner in his column. This relationship, however, will proof itself shallow and manipulative as the story unfolds. Carrie Hope buries her past and continues working on TV journalism. Her hard work earned her the position of co-host at the news program, Channel Five at Five. She and Ward McNulty meet at the studio as she interviews him for the news series,'Local People Makes Good.' Some time after this interview, Carrie and Ward start dating and end up with Carrie's moving in with Ward. At first, their relationship is full of lust and passion, but these slowly disappear as they get more and more involve in their careers. Democrat State Senator Chet Garner will stop at nothing to gain the necessary votes to the US Congress, including, but not limited, to defamation of his competitor and all of those who stand on his way. He has been supportive of the ''North Beach'' development project to take place in Timuqua Island because he sees it is beneficial for Florida and also for the residents of the island. Some of the residents are suspicious about the ''North Beach Project'' and they decide to hire real state lawyer, Bob Rohrback, to represent them in court. When Bob starts requesting papers from the City Council and taking some legal actions, this sets the wheel on as a set of unfortunate events starts affecting those obstructing and delaying the project. One of those victims is Ward McNulty, who refuses to use his column to defame former defense lawyer, Bob Rohrback. Ward suffers a car accident that leaves him blind for some time. Soon after his sight is restored, he discovered he has an in-sight into people's souls. This so discovered ''gift'' terrifies him and he doesn't know how to deal with it. But with the help of his dad, he learns to use his gift to better himself and help others in need. The rest of the book goes back and forth between those in favor and those opposed to the project. Ward McNulty and Carrie Hope find themselves caught in the middle of the struggle and fighting in opposite sides. Lives will be turned up side down and others will be destroyed, while a handful of brave ones will find justice as the truth sets them free. This is a tale of betrayal, faith, power, recovery, redemption, trust, and justice for all. I enjoyed the way the author weaved into the story the benefits of a regular confession, the AA Program for alcohol addiction, family relationship, and law. All these elements are tastefully discussed through the story without making the readers uncomfortable with some of these sensitive topics. The word of Jesus: ''Let your eyes be opened'' will take a whole new meaning after the reader finishes reading this book. I recommend this book to those readers looking for a Catholic action drama fiction story with a cutting edge that doesn't jeopardize their beliefs and convictions. This book was awarded 2nd place in the 2009 Creative Arts Council Book Awards. In her book, In Name Only, author Ellen Gable takes her readers back to the Philadelphia of the 18th century with a Cinderella story full of drama, romance, and tragedy. 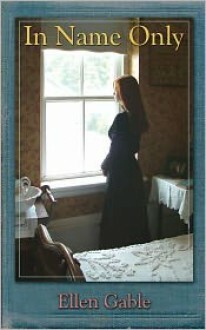 The book's front cover shows two of Gable's distinctly symbolisms: first, the ledger book, symbolizing something old and valuable; second, a photograph of a woman standing in front of a window while looking outside, symbolizing enlightenment and security. These symbols are tangled with the storyline, as well as with Caroline Martin's predicaments, and her interaction with the two O'Donovan's brothers, Liam and David. The book begins with Caroline Martin traveling from Boston to Philadelphia in a train, accompanied by her chaperone, Mrs. Shepherd. After the death of her father, Caroline finds herself alone in Boston. The only other living relatives that she has are her wealthy uncle Edward Martin and her cousin, Elizabeth, both of whom live in Philadelphia. Tragedy and death seem to be Caroline's companion lately. Sadly, her chaperone dies on the train ride on their way to Philadelphia. Caroline is devastated and not thinking clearly. Luckily for her, Liam O'Donovan, a neighbor and business associate of her uncle Edward, is riding on the same train. Liam assists her during the remaining of the train trip and up to her arrival at Philadelphia's train station, where she is picked up by Kip, one of her uncle's servants. Upon her arrival at uncle Edward's mansion, Caroline immediately realizes the class difference between them. Caroline's father was disinherited by her grandfather due to his marriage to a lower class woman, her mother. Caroline's mannerisms, the callous of her hands, and her attitudes toward the treatment of the servants hinted her lower class background. As the story unfolds, Caroline finds love and despair on a marriage that appears to offer a way out of her past and hidden low class status. However, appearances could be deceiving, as Liam has a couple of secrets of his own that threaten to end her newly found happiness. Just when Caroline is starting to enjoy peace and the love of her beloved husband Liam, death strikes once again and throws her into an earthly Purgatory with only one way out - an “In Name Only” marriage. Will Caroline accept and follow through with the marriage proposal to give her child a father and have financial security, or would she contempt it and deal with the consequences of her decision? Caroline's dilemma and decision will lead to an unforeseen end. Gable's novels stand out from the rest based on her ability to create female characters with high moral standards and convictions. A male figure who is strong, caring, and protective of the woman he loves. And the tenderness of the courtship scenes are refreshing and, at the same time, nostalgic, considering the lack of elegance, gentleness and respect in today's relationship between a man and a woman. In this book, David O'Donovan is an enigmatic man who also portrait those typically Gable's male's characteristics. He is the prodigal son who is humbled by life's circumstances, but after his ordeal is over, he comes out as a stronger and better man. The only weakness that I found on this novel in contrast with her first book, Emily's Hope, was that I felt the family dynamics were not true to the knowledge we have about that time period. I recommend this book to readers looking for a clean romance novel. The trilogy, Hiding the Stranger, by Joan L. Kelly is a very entertaining action story for teens, weaved with moral and family values. Katie Rivers' discovery of an unconscious and wounded teenager at their family farm will take the Rivers family into a web of crime, kidnapping, and identity crisis. “Sam,” as Katie named the stranger, is suffering from amnesia due to a head injury and needs medical attention. However, his visit to the Emergency Room with the Rivers' kids might have given some clues about his whereabout to those desperately looking for him. As the adventure continues, “Sam” starts to remember part of his past. However, he is unable to identify the men who are following him and who inspire so much fear on him. The Rivers family will find themselves in the middle of a thriller adventure that will take them from their quiet neighborhood in Hickory Valley to the conclusion of the story at the historic Illinois Union Station. Who are those strange people in town looking for Sam? Are they truly detectives hired by “Sam's” family to find him? Are they the bad guys? What is his real name? Why is he so afraid? Join Sam and the Rivers family to find the answers to these questions. As a mother of a teen and a reviewer, whenever I receive a YA book for review, I share it with my son. After we both have read it, we exchange our impressions of it. I could tell if a book is good and if the author has reached his or her intended audience by the way my son reacts to the book. When the plot and the characters are well written and developed, my son will not let go of the book until he is done with it. This was my son's reaction to this book. He read it in two days because school workload didn't allow him to read it on one day, like I did. We both enjoyed very much the way the author wrote an engaging story without the use of vulgar language - -even by the bad guys. I felt the religion content was moderate and atone with the story. Something that stood up for me on this story is the interaction of the Rivers family members and how they deal with each other. This dynamic could be used as a model to follow, since modern society has forgotten about crucial family values, such as caring, obedience, and respect, just to mention a few. I highly recommend Hiding the Stranger to families and teens looking for a great action trilogy.